indicates a length of at least 3 degrees. A short dusttail is also visible curving away to the right. 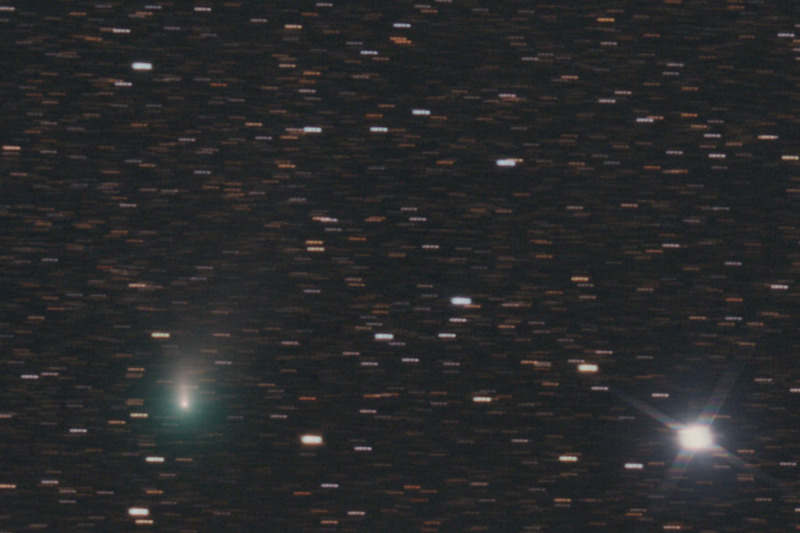 The bright star to the left of the comet is magnitude 3.0 Gamma Bootis. This image was taken on November 1, 2006 around 18h14m UT. 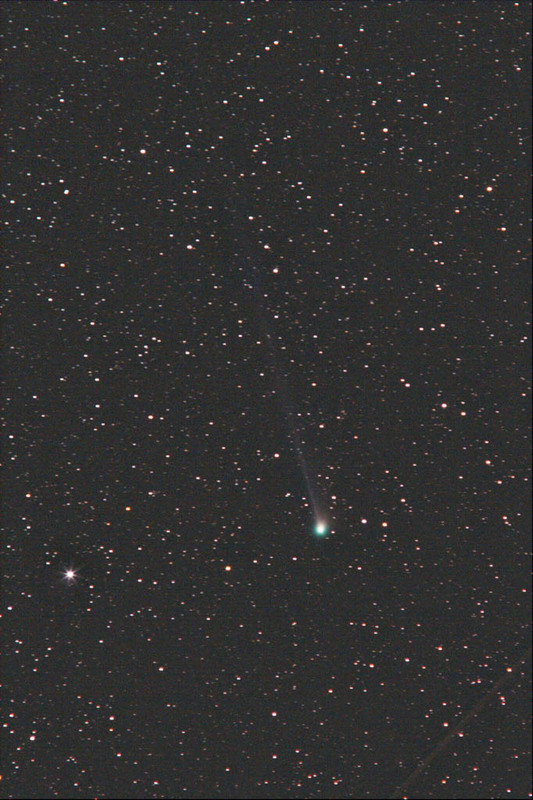 It is the sum of 6 30s-exposures with a modified Canon 350D, set at ISO1600, through a 20-cm f/2.75 ASA astrograph. There was a first quarter moon in the sky during image aquisition! 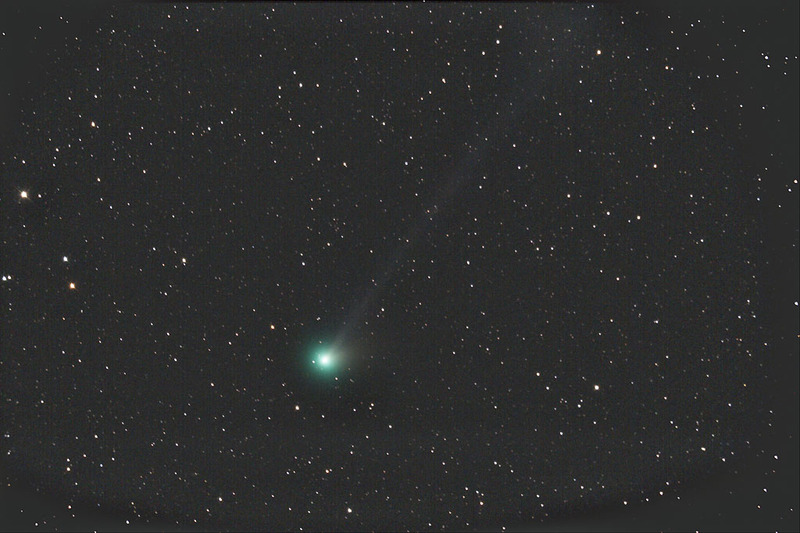 It is the sum of 23 exposures of 30 seconds with a modified Canon 350D, set at ISO1600, through a 20-cm f/2.75 ASA astrograph.